This year, Morrel Law PLLC is honored to be a Tee Box Sponsor for the 2018 Great Cities Missions Golf Classic at The Patriot. 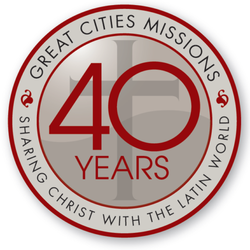 For over forty years, Great Cities Missions has been helping church planting teams in the Latin World. The ministry has recruited and trained more than 42 missionary teams, sending them out to major metropolitan cities in 11 different countries of the Latin world. Over 300 adults and their children have moved to new countries to tell people about Jesus and plant churches. Using the Great Cities Missions model of recruiting and training, over 225 congregations now meet and thousands now worship Jesus as Savior. There have been more than 148 different churches in the United States that have partnered in this work and countless individuals. On the staff of Great Cities, they have an accumulated 112 years of actually living in Central and South America, sharing the Good News of Jesus. For more information, you can visit their website at http://www.greatcities.org.